The Master: Talking To Bill Littlefield About W.C. Heinz And "The Top Of His Game"
A conversation with the host of NPR's "Only A Game," about his new anthology of W.C. Heinz's sportswriting. W.C. Heinz—Bill to his friends—was a writer’s writer. Admired equally by Ernest Hemingway and Red Smith, his byline was a reliable presence in the old New York Sun newspaper and in magazines like Look and True and Saturday Evening Post in the 1950s and 1960s. He wrote acclaimed novels (The Professional, The Surgeon, M*A*S*H) and bestselling sports books (Run to Daylight!, Once They Heard the Cheers). His output diminished in the 1970s and ’80s. He lived quietly in what turned out to be a very long retirement, and gladly gave sage advice to writers (myself included) who called him and asked. Thankfully, before his death in 2008 at the age of 93, Heinz and his work were re-discovered and admired anew. Three classic stories of his were reprinted in The Best American Sports Writing of the Century (1999), the excellent and voluminous anthology edited by David Halberstam and Glenn Stout. That same year, Heinz co-edited The Book of Boxing with Nathan Ward. Then, Da Capo Press published a collection of Heinz’s writings, complete with a foreward by Halberstam and an introduction by Jeff MacGregor, who also profiled Heinz in a poignant feature for Sports Illustrated. 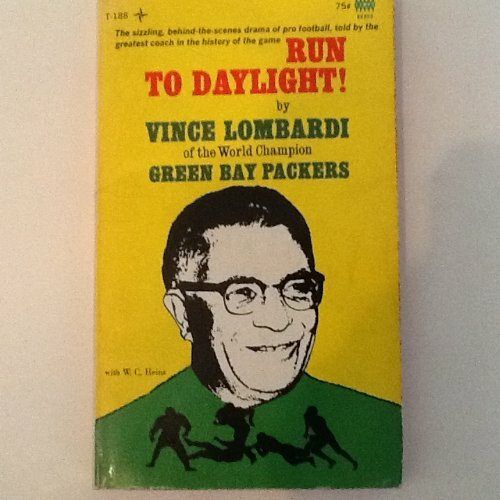 Now, the Library of America has published The Top of His Game: The Best Sportswriting of W.C. Heinz. The collection is edited by Bill Littlefield, the longtime host of National Public Radio’s weekly “Only A Game” program, and includes many of Heinz’s unforgettable columns and profiles as well as greatest-hits excerpts from Once They Heard the Cheers. It’s the Library of America’s third recent book devoted to sports writing: At the Fights: American Writers on Boxing, edited by John Schulian and the late George Kimball, was published in 2012, and a collection of Red Smith’s writings, American Pastimes, came out in 2013. How did you gather the material for the book? It was very nice that they put my name on the front of the book as the editor, but it was really a collaborative process. Gayl Heinz, Bill’s daughter, lent me the scrapbooks [of Bill’s writing], and that was just fantastic to go through, not only because reading all the stuff was wonderful, but Bill’s notes are also in there. As I indicated in the Introduction, he wrote in pencil “Good” at the bottom of the articles that he liked. It’s a great hint about which ones should be in the book. I did the initial cull and sent Library of America what I thought was a reasonable table of contents given their 400-page limit. They got back to me and said, “Well, we changed our minds. We’re going to go with a lot more.” Which was fantastic. For example, I had not included the complete version of “Transition” [the opening chapter of the book]—which is magnificent—but with a 400-page limit there just wasn’t room. So, after they made it a longer book and added some other stuff, everything that I thought should be there is there. Was it challenge for you to have to sift through so many stories of Bill’s about boxing? No, because I think there’s a real distinction between an appreciation for the writing and boxing itself. I don’t necessarily think that requires an affection for the sport. For some reason, when you asked that question, I thought of Michael Herr’s wonderful book Dispatches, which I think is one of the finest pieces of reporting that I’ve ever read. I hate war. I’m a pacifist. I believe that it’s evidence that we haven’t evolved very far as a species that we’re still killing each other in great numbers. But I think that book is unbelievably great. I’m awfully glad I read it even though I don’t like the subject. Initially, there were two things that happened that led to my wanting to get in touch with him. One was the publication of an anthology of Bill’s work [What a Time It Was] and the other was when the Best American Sports Writing series, edited by Glenn Stout, came out with the Best American Sports Writing of the Century in 1999, and Bill Heinz was represented three times [more than any other writer with the exception of Red Smith]. Eventually I got into the habit of sending him books, mostly novels. I sent him some of my stuff and a book that Charlie Pierce had written that he really enjoyed. He was incredibly generous in his comments. He’d write back and tell me how much he’d enjoyed something that I’d written or that I’d sent him. At one point I sent him an article that I was working on, and he made notes in the margin saying, “You might think about this.” He also wrote, “Number the pages. Editors really like it when you number the pages.” Stuff like that—helpful things. We got to be friends. We talked a few times on the phone, but most of our communication was through the mail. He didn’t have a computer. A couple of times after he moved out of the house and moved into a retirement home in Bennington, Vermont, I visited him. Physically he was in tough shape at that time, but he was such a complete gentleman, almost chivalrous. One of the times I went to see him with my wife because I wanted her to meet him. He sat with my wife and he said, “Tell me a little bit about your family.” Well, my wife’s dad was a surgeon, and Bill said, “That’s very interesting. I wrote a book about a surgeon.” And we chatted about that. About two weeks later in the mail there arrived an autographed copy of The Surgeon inscribed to my wife very personally. It turned out that Bill had called Gayl, his daughter, and said, “Get out and find a copy of The Surgeon somewhere and send it to me so that I can send it to Bill Littlefield’s wife.” That’s the kind of person he was. Just as sweet and as thoughtful as could be. My wife was smitten with him, of course. There’s a wonderful quote at the end of Charlotte’s Web that’s sort of a eulogy for Charlotte. It goes something like, “There are not so many people who are great friends and also great writers, but Charlotte was one of them.” And my feeling is, you don’t meet so many people who become great friends and also are great writers, and Bill Heinz was at the top of that list. It struck me in reading and re-reading many of these pieces, particularly those from Once They Heard the Cheers, that Heinz had access to athletes that no reporter would probably get today. So I wonder how you think he would have fared today? It is such a different time and such a different place. The rules have changed. My favorite representative story, and I’m old enough now so that I can remember reading about this, but when Willie Mays came to the Giants in New York, moving from the minor-league team in Minneapolis, he stayed with a family. He was young enough that the Giants figured he’d better stay with a mom-and-pop surrogate. When he’d come home from the Polo Grounds, he’d play stickball in the street with the kids. You can’t imagine that now because every reporter in the city would be there, and everybody would be YouTube-ing it. Plus, the ballclub would have a contract clause saying you can’t do that because you might get hurt. So, it’s a totally different world. I have a feeling that Bill would have found a way to connect personally with the people about whom he was writing. And, if he felt that it was impossible to do it with the major leagues, he probably would have been writing stories about guys somewhere else. He cared about people, and he was able with utter sincerity to convince people that all he wanted to do was get to know them and tell their story. He was never mean-spirited, he never made fun of them. As I said in the Introduction, he’s very gentle. Even the barbs are gently delivered for the most part. It’s who he was. He was very, very hard on himself in terms of trying to write everything as well as he possibly could, but I think he gave other people a tremendous amount of latitude and approached them with real compassion. For someone who hasn’t encountered Bill’s writing before, how would characterize his style? What components would you advise aspiring writers to study? Well, actually I have used some of his stuff in the writing classes I teach at Curry College. I joke in the Introduction that “Death of a Race Horse” should be taught in creative writing courses—but only if your message is that your students should find something else to do because they’ll never write anything this good. But I think there are two things that stand out. One, Bill had a magnificent ear. He could get the sense of how people talk and how they make the points they make. He could draw a picture of a person simply by presenting his voice. The only fiction writer who comes to mind who could do that as well is George V. Higgins, who wrote Friends of Eddie Coyle and a dozen other books. He could re-create dialogue brilliantly. The other part is, he recognized the value of understatement. If he had a great story, which he so often did, or he had an interesting person about whom he wished to tell you, he knew how to get out of the way of the story. He knew how to let the story just come along. A lot of that, I think, is a determination to strip away all that’s not necessary from what he was trying to say, but also there’s a huge respect for the people with whom he was speaking and the stories that they had to tell. He didn’t want to get in the way. I think the main thing is the simplicity. So often young writers think that the subject about which they’re writing has to be spectacular. Somebody has to get shot. A relationship has to end, and somebody has to contemplate suicide because they can’t imagine how they would live without their lover. Or whatever it might be. And I think what Bill’s writing teaches us is that there is great beauty and truth in circumstances that are not necessarily spectacularly exciting. You know, a bunch of guys sitting around in the promoter’s office. Nobody’s hitting anybody else, nobody’s winning or losing money. They’re just talking. I refer in the Introduction to the time when Hemingway borrowed Bill’s typewriter during the war and told Bill that he thought it wrote very well, to which Bill answered, “Yeah, but it writes a hell of a lot better for you than it does for me.” But I think there’s something that the two of them had in common—which is the recognition that understatement and the simple presentation of the story is often a great deal more effective than showing off your vocabulary and your dance steps. 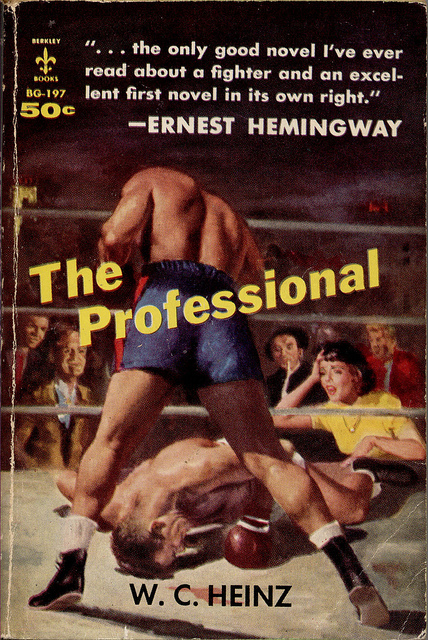 You certainly hear echoes of Hemingway in Heinz’s work. Yeah, I think that’s fair to say. He would have denied it, but I think it’s probably true. One of the other connections they shared was their work as war reporters. How did World War II influence Heinz’s career and his viewpoint about sports? There’s a lot in “Transition” which explains that: the way he kept encountering athletes in the dugout and in the locker-room who’d also been in the Second World War. It gave me him entrée to some of those guys; they had respect for what he had done. I think also, as we were talking before about the powerful story and not getting in the way of it, writing about war and about men at war, the last thing that good writing in that context does is include a lot of bugles and drums. He’s writing about people, he’s writing about people in extreme situations, and I know from stuff I’ve read that’s not in the book he found it incredibly exhausting and incredibly difficult. He sometimes felt, “I can’t do this anymore. I’m going out there and I get to come back, and they have to stay out there, and I’m learning that somebody that I spoke to a week ago has been shot and is now dying in the hospital.” It was incredibly difficult, it required extraordinary discipline, and I think there is a seriousness of purpose that’s evident in the war correspondence that is also evident in the writing about athletes and sports. Boy, that’s like asking, who’s your favorite kid? I do, though, have several favorites. Obviously, “Death of a Race Horse,” which I think has justifiably been referred to as maybe the best sports column ever written. I’m also very fond of “Brownsville Bum.” The first time I met Bill, when I visited him up in Dorset, I had him read the first paragraph of “Brownsville Bum” into a recorder. Not only so that we could use it on “Only A Game,” but also so that we would have it forever. There’s also a wonderful piece about Beau Jack, who I think was one of Bill’s favorite people to write about [“Beau Jack Is Good Customer”]. Beau Jack is sitting in a locker-room, and there’s a guy in there trying to sell him hats. Beau Jack wants a gray one, and then a brown one, and eventually he wants a green one before his manager stops him. You have a feeling that if nobody had stepped in, he’d have twelve hats, each a different color, by the time the column was over. It’s not about anything important. It’s just a beautiful column-length presentation of who Beau Jack was, and how fascinating he was to Bill. It’s grand. It really is. I just love that last closing sentence. Nowhere in that column does Bill say, “Ezzard Charles is a fraud and never should have been the heavyweight champion.” He just says, the trainer stole the show and there is much justice in this. It’s beautiful. He was a master of understatement. He was a great closer. His pieces really end well. Oh, God, absolutely. I’m not sure anybody ever did it better. How about your own work? We listen every weekend to “Only A Game,” but what is your latest writing project? Take Me Out is the most recent collection of sports- and games-related doggerel that I wrote [published by Zephyr Press]. It’s kind of a Dr. Seuss-Shel Silverstein book that I hope parents read with their children. I know Bill got a kick out of that stuff because, among the other things I sent him was Keepers and Only A Game, the two collections of my columns and radio work, and there’s a lot of verse in those.